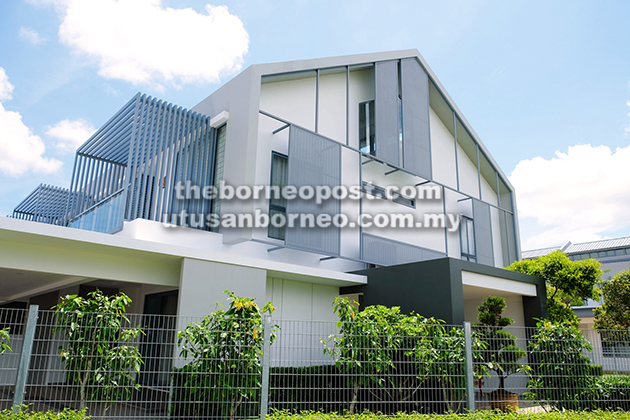 KUCHING: The first residents’ clubhouse at the high-end residential development, La Promenade, by Hock Seng Lee Construction (HSL) opens this Saturday and Sunday from 10am. To mark the opening, guided tours along with food and beverages will be provided. HSL is also organising colouring contests for children as well as a social media photo-taking contest which visitors can enter by uploading photos with the ‘#LuxeClubhouse’ hashtag. Prizes include Huawei P10 mobile phone and cash. On both days, Level-Up Fitness coaches will conduct free Zumba classes in front of the clubhouse swimming pool at 11am. Desjoyaux Pools will run an information booth at the clubhouse launch, while Oppein Home is a co-branding partner. Equipped with a gym by Level-Up Fitness, 21-metre swimming pool, children’s wading pool and playground, the clubhouse is located within La Promenade’s Precinct Luxe which comprises 112 super-link homes. In conjunction with the launch, HSL is opening three new rows of houses for sale with promotions worth RM20,000 for each buyer. Precinct Luxe is the second development within La Promenade. The first – Precinct Premiere – comprised bungalows, duplexes and quadruplexes. “Precinct Luxe was designed as ‘landed condominiums’. We wanted a new product type that combines modern condominiums with traditional community lifestyles,” said HSL property development senior manager Tay Chiok Kee. HSL collaborates with Level-Up for the clubhouse, which has treadmills, elliptical trainers, weight machines and a separate multi-use studio – all on the second floor overlooking the saltwater pool. “The clubhouse’s completion marks the realisation of our goal: a premium facility that is exclusive to Precinct Luxe residents,” he said. Future precincts within La Promenade would have their own clubhouses, thus preserving easy accessibility. For Precinct Luxe, HSL engaged Design Network Architects (DNA), a leading design firm known for its residences and hotels. 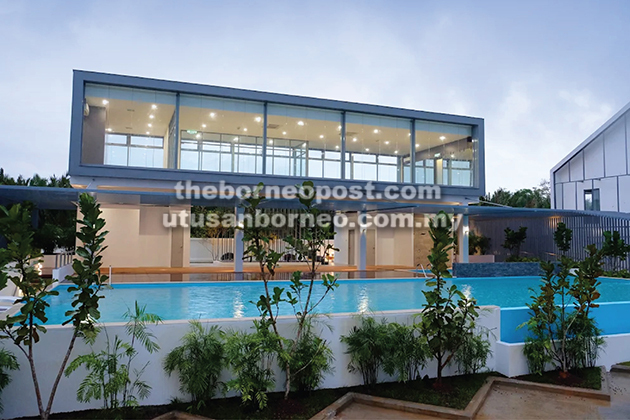 DNA’s principal William Khoo described the landed properties as a great investment in a time when most new developments in Kuching have been high-rise apartments. “Landed homes will always be the preferred choice. As ‘landed condominiums’, Precinct Luxe offers the best of both worlds but without the cons. There are shared facilities like the clubhouse in a gated neighbourhood with landscaped parks,” Khoo said. The large floor space is ideal for multi-generational families, he added. La Promenade is HSL’s flagship development where it is also building a new 10-storey headquarters with a neighbourhood mall. The key feature of the 200-acre project is security – the first guarded access point leads to an internal boulevard, while a second guardhouse separates the individual precincts. “We set out to create a world-class product in Sarawak that has a higher standard of security, refinement and environment,” said HSL managing director Dato Paul Yu Chee Hoe. “When Precinct Premiere was launched, we couldn’t have been happier with the response from the public. That gave us the confidence to step up plans for Precinct Luxe,” he added. For more information, visit facebook.com/hslcn, instagram.com/hslcn or hsl.com.my/property/la-promenade. HSL’s sales team can be contacted on 019-8882020 (Ricky), 019-8877070 (Lyn), 019-8887979 (Angie), 019-8881331 (Troy), 012-8887117 (Chong) and 012-8889494 (Farah).